Miami-Dade County’s water system is highly managed and needs to be delicately balanced. According to Douglas Yoder, deputy director of the county’s water and sewer department, the rising sea level is likely to upset this system. Miami’s geography makes it challenging to manage the water system. The city area between the Everglades and Biscayne Bay has revealed itself to be a thin lattice of earth and concrete laid across a puddle that never stops forming. Underneath the construction sites, the water seeps up through the gravel. A water resource that will face particular challenges is the Biscayne Aquifer, which consists of 4,000 square miles of unusually shallow and porous limestone whose tiny air pockets are filled with rainwater and rivers running from the swamp to the ocean. This aquifer is vulnerable because of its permeability, leading to it being easily contaminated. A report entitled ‘Changing Tides’ estimates that Miami has the most to lose in terms of financial assets of any coastal city in the world, just above Guangzhou in China and New York City. Bloomberg Business Week reported that Miami is already battling to deal with the repercussions of climate change. Some of these consequences include an increase in the frequency of flooding and toxic algae blooms. 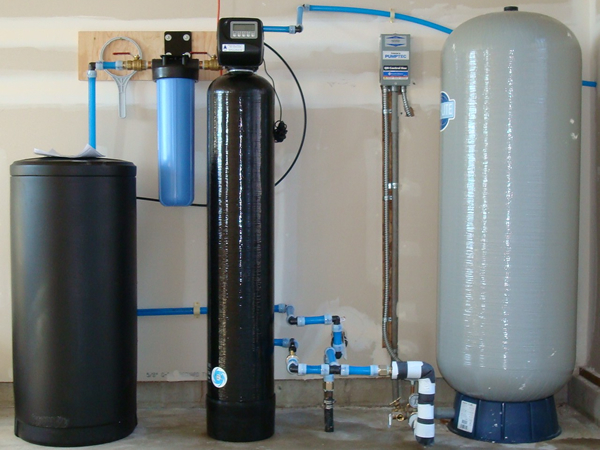 Hydro Solutions has provided professional installation, repair, and maintenance services for wells and water treatment systems to the South Florida residents of Palm Beach County and Martin County for over 20 years. If you are worried about the quality of your water at home or at your business, contact us today.